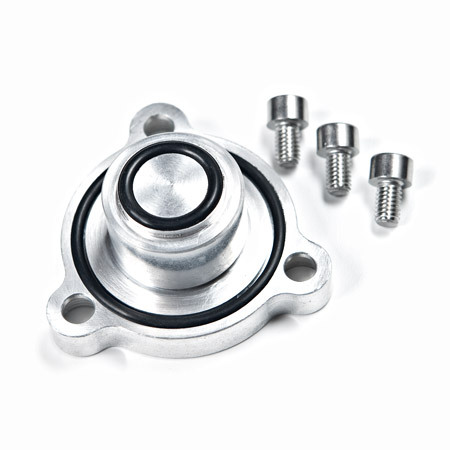 For the 2013 Focus ST 2.0L Turbo, the 3 bolt style Blockoff flange (plug) for stock diverter valve. Allows the removal of the compressor mounted factory diverter valve on the stock turbo and allows the port to be plugged and sealed off. You can then mount a new, higher volume/higher pressure BOV elsewhere in the chargpipe system. Nice CNC machined from billet 6061 aircraft aluminum.